Hollis Budd, winner of the first Nora Bredes Leadership Award. Photo courtesy of University of Rochester. Conversations with Champions luncheon. This year, the luncheon and discussion examined the special relationship between golf players and their caddies. Three pro-golfers and their caddies discussed the dynamics of their relationships, decision making, and learning (including what it’s like to be married to your caddy!). During the luncheon, Hollis S. Budd, executive director of the Max and Marian Farish Charitable Foundation, was presented with the first Nora Bredes Leadership Award. The award replaces the Susan B. Anthony Promise Award, and is named in honor of the Anthony Center’s former director, who passed away last August from complications related to breast cancer. Bredes served as the Anthony Center’s director from 1999 until her death in 2011. “The new award will commemorate Nora Bredes’s exemplary life and vision for women as leaders by honoring a Rochester woman whose career and leadership have supported social, political, and economic equality for women,” said Aimee Senise Bohn, Program Coordinator at the Anthony Center. Before joining the Farash Foundation, Budd held a 31-year career at the University of Rochester. She worked in alumni relations and development, and served as the Associate Dean for MBA Administration and External Relations at the William E. Simon Graduate School of Business Administration. Most notably, Budd was the University’s first female Vice President, and knew Bredes personally from their collaboration on programs and initiatives for women and diversity. The luncheon took place inside the Summit FCU Pavillion at Locust Hill Country Club in Pittsford. According to Kim Osur, marketing manager of the Wegmans LPGA Championship, it was Bredes’s idea to increase the recognition of and opportunities for female athletes by hosting the annual luncheon and conversation. 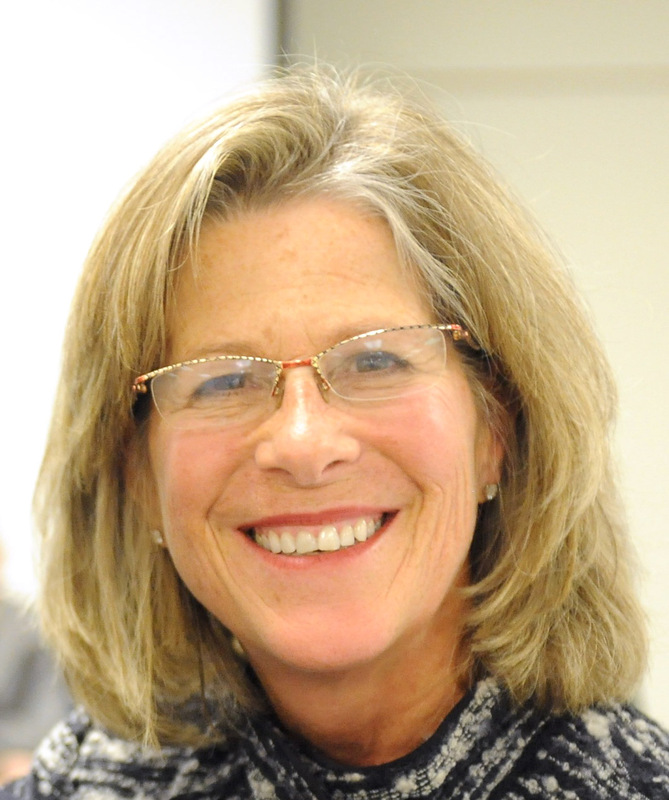 Bredes would be glad to to see that her mission and values are alive and well in Rochester. 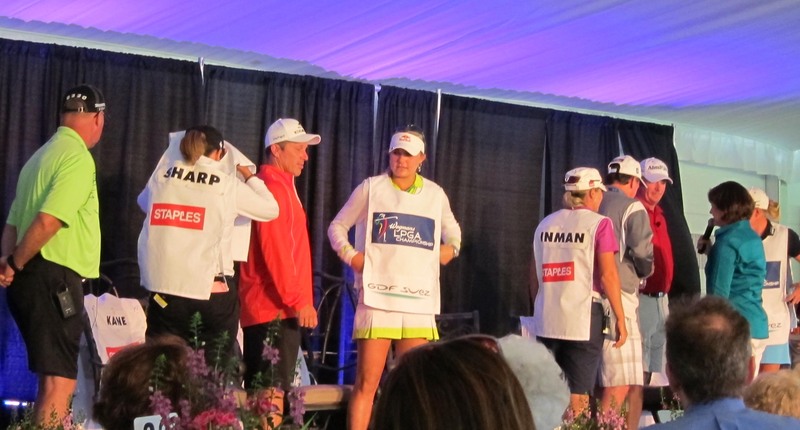 LPGA players and their caddies take the stage. This entry was posted in Community and tagged #anthonycenter, #leadership. Bookmark the permalink.